In this week's Abundance Insider: Barista bots, ultrafast phone charging, and disposable delivery drones. What it is: To bring ‘connected coffee’ to the mainstream, coffee startup Briggo engineered a robotic coffee barista called Coffee Haus. The goal of the Coffee Haus project is for customers to quickly order their ideal cup of coffee via a smartphone app, receive a notification when the cup of joe is ready, and then pick up a cup of coffee that is precision-engineered to the customer's specifications and preferences. Through a robust array of inbuilt sensors, the Briggo bot manages almost every aspect of the coffee experience, from milk temperature to the usage rate of coffee cup lids. Briggo’s complex robotics and robust sensor and IoT technology converge to output as many as 100 cups of made-to-taste coffee in an hour. 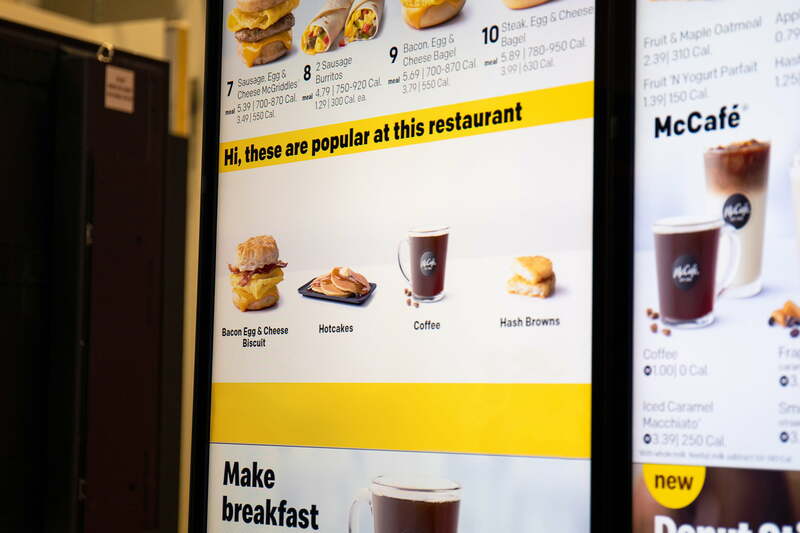 What it is: Dynamic Yield, an Israel-based artificial intelligence startup, has partnered with McDonald's to deploy its "decision technology" within electronic menu boards at over 1,000 drive-thru locations within the next three months. The smart menu boards will dynamically change based on fators like the user's existing order, the weather, and how busy the restaurant is. McDonald's CEO Steve Easterbrook plans to eventually roll the technology out to all 14,000 U.S. restaurants and international locations, perhaps even with inbuilt license plate recognition to incorporate a customer's recent orders. What it is: Xiaomi has developed a superfast 100W charger that takes a 4,000mAh battery — almost twice the capacity of an iPhone X — from zero to 100 percent in just 17 minutes. Details on the technology are still under wraps, particularly around heat dissipation, battery life, and whether it's tied to a specific manufacturer, but this represents an almost 2X improvement over the previous best. What it is: As part of a five-year Japanese project to design responses to disasters in energy and heavy industries, Mitsubishi Heavy Industries (MHi) has created a Water Cannon Bot capable of fighting blazes autonomously in hard-to-reach and otherwise dangerous locations. The Cannon Bot and its companion Hose Extension Bot are built on farm buggy frames and can deliver foam or water at 4,000 liters per minute at 1 megapascal (MPa) of pressure. The duo is part of a larger autonomous system that includes surveillance and reconnaissance technologies onboard a larger transport vehicle to help fight the blaze. What it is: Under contracts with DARPA and the U.S. Marine Corps, Logistic Gliders Inc. has developed a single-use, autonomous glider resupply system that can carry up to a whopping _1,800 pounds_ of supplies. Constructed from low-cost plywood, the disposable glider’s two versions (LG-2K and the smaller LG-1K) are projected to cost as little as a few hundred dollars each if cleared for mass production. Suited for long distances, the gliders are first launched from a larger aircraft and then either fly and navigate autonomously or are operated by a remote pilot. Granted new flexibility, the drones can even fly through urban environments, jungle canopies, or almost any low-altitude clearing, delivering critical supplies precisely where needed. 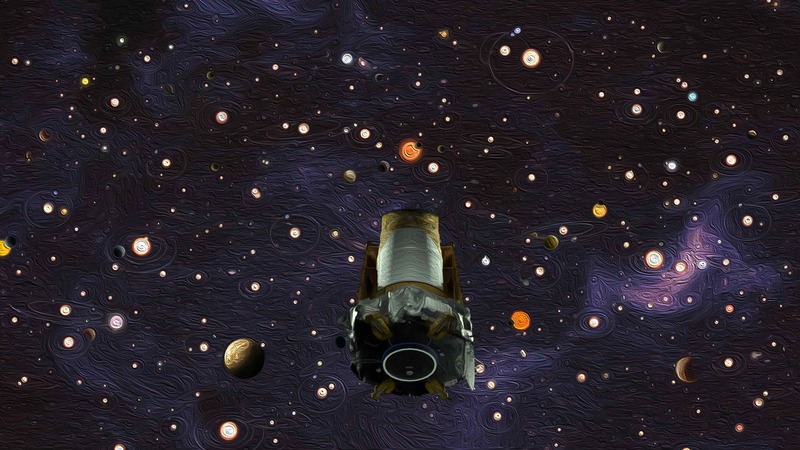 What it is: As AI joins forces with today’s leading astronomers, one convolutional neural network, AstroNet K2, has helped researchers discover two new exoplanets among a trove of NASA’s Kepler telescope data. Building upon research by Google AI’s Chris Shallue and Harvard astrophysicist Andrew Vanderburg, AstroNet K2 has helped overcome a major obstacle in analysis of Kepler’s data. Given a mechanical malfunction that rendered the telescope incapable of focusing on a single part of the sky, sporadic data collection has made it difficult for astronomers to identify the best exoplanet candidates. Now, while the neural network still returns numerous false positives, it has reportedly achieved a 98 percent accuracy rate in test data sets of images with promising characteristics.